It was a horrific experience. And a brilliant one. My stomach still rolls at the thought of that room. I may never be able to wear my favorite perfume again because it now reminds me of the hospital. My body is still coming out of some kind of shock that happens when you’re not eating, not sleeping, not moving, and being really stressed out for 8 days. I love words and I know with absolute certainty that I’ll never have the right ones to communicate to someone else how traumatic this particular kind of isolation was for me. Easily the worst experience of my life. Horrific. But my heart overflows when I think of all the ways that my friends, family, and the Lord were there for me. Something about being so deprived of other distractions and so buried in a single, unchangeable miserable moment makes joyful things starkly, glaringly bright. As it is, I could make a list that went on for pages of all the moments that made joy rip through my heart. How very well loved I felt. By everyone. And especially by the Lord. Brilliant. I drafted about 30 posts while I was there, but didn’t put any of them up because opinions formed under such extremes tend to be skewed. I’m letting them sit so I can revisit them with a less extreme eye. But many posts to come either way. I can’t recall ever going through such an acute emotional, spiritual, and psychological recalibration so–as you can imagine–my brain is on overdrive processing through all the changes in perspective. I’ve been out walking around all day, just enjoying being free and alive and in love with the Lord’s creation, and I keep stopping every five minutes to jot down something on my “have to blog about this” list. Excited to share some of those things with you guys in the upcoming days and weeks. But for now… I’m home. I’m fine. And I’m thankful. Kate- Continuing to pray for you. Hope you are able to get answers about what is going on soon. Hope you are recovering well this week. I’m so glad you are home!!!! Not that I can understand what you went through, as my experience was totally different, but I can relate to having distaste for the hospital. Such a dreary place and no rest for the weary. Hoping you get lots of rest this week! Was sad I couldn’t visit during your visiting slots as we are down to 1 vehicle and my available times were taken. Would love to see you soon dear friend! Love you! Hi, that’s a great picture you posted. May I use it on my blog? I had a sleep study done once. 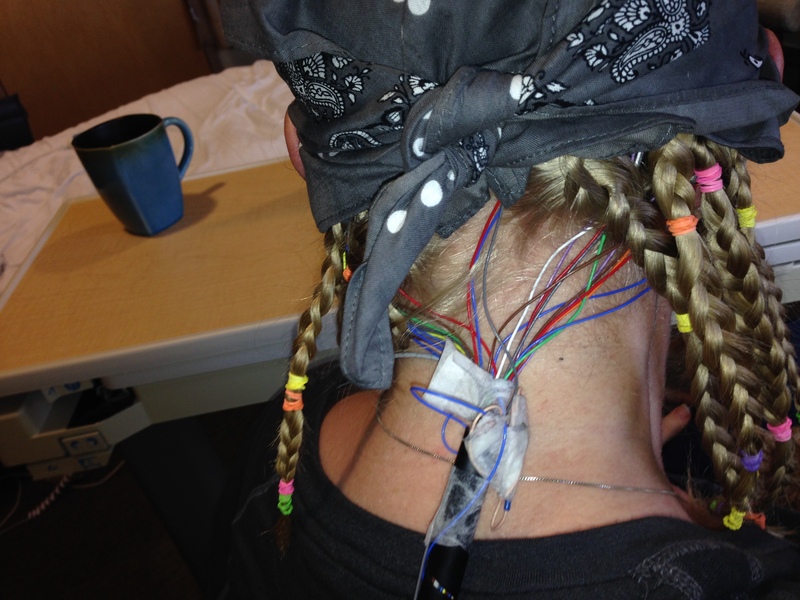 I had to wear those wires for….I guess it was 3 days. Please let me know if you will allow me permission to use the picture. Thanks!